Boom! 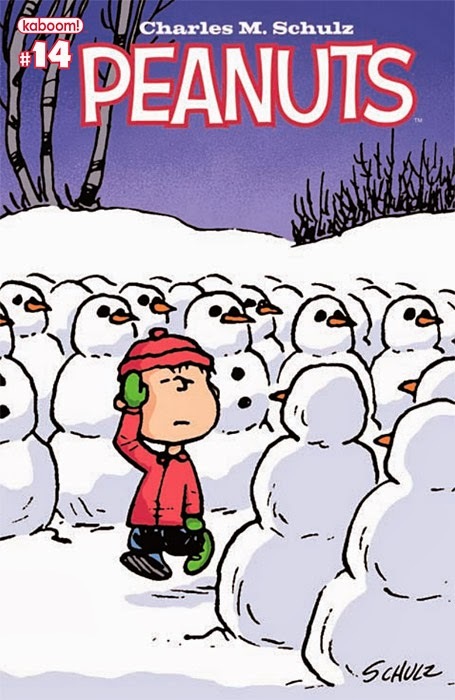 Studios' Peanuts #14 comic book went on sale on Wednesday, December 18, 2013. In this issue are the seasonally themed new stories "December 16" and "Naughty or Nice," together with "How to Be a World Famous Author" and "Give It a Shot." See a five-page preview at comicattack.net . The Peanuts comic book can be purchased at your local comic book store, or ordered directly from Boom! Studio's website.